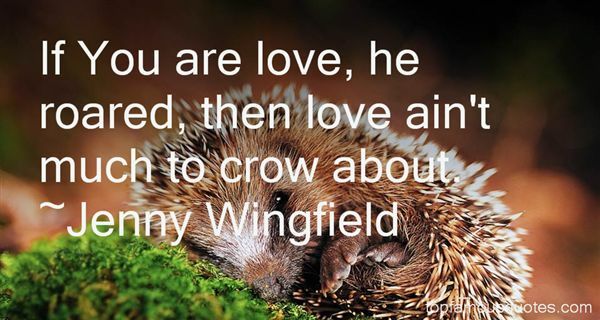 Reading and share top 12 Jenny Wingfield famous quotes and sayings. 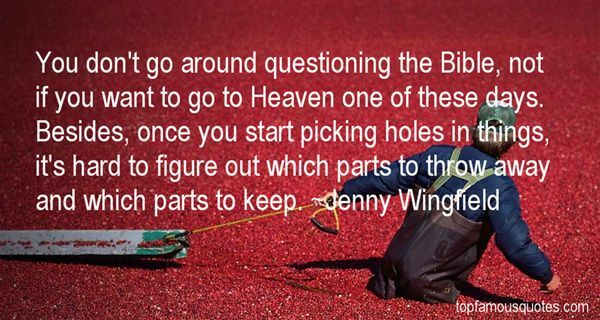 Browse top 12 most favorite famous quotes and sayings by Jenny Wingfield. To call him humble was to make rudeness normal. Besides, humility had always seemed to him a specious thing, invented for the comfort of others; you were praised for humility by people because you did not make them feel any more lacking than they already did. It was honesty that he valued; he had always wished himself to be truly honest, and always feared that he was not"
What Did Jenny Wingfield Talk About?